Quite funny! yeah, I know but it is amazing. There is nothing much to write about it. 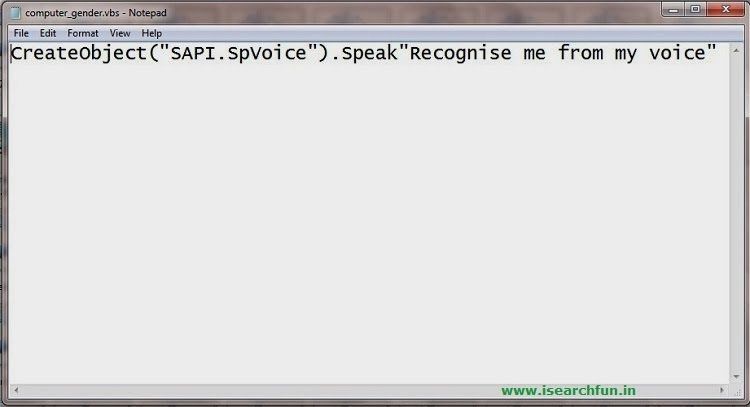 Simply, This trick tells you the Gender of your PC or LAPTOP. Have you ever tried to know? If No, Try it now to confirm what you got ? 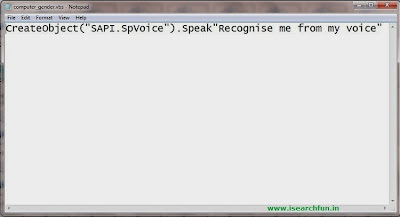 CreateObject("SAPI.SpVoice").Speak"Recognise me from my voice"
If you hear a female voice, you have a girl.